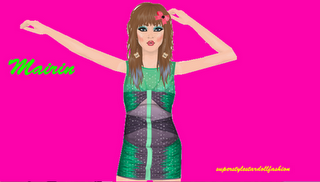 I found a fantabulous punky outfit by sunny4ever16! Its so pretty- the black top is contrasted with the punky bright leggings! And the hat is a lovely statement!